The famed Danish Blue cheese producer, St. Clemens Dairy, was founded by a cooperative of farmers in 1950 on Denmark’s slow-paced Baltic Sea island of Bornholm. Bornholm is known as “the Sunshine Island” because it gets more hours of sunlight than anywhere else in Denmark, a clear factor for the island’s lush grazing pastures. Lined with dramatically jutting craggy cliffs and gorgeous sandy beaches, Bornholm not only attracts tourists for its stunning sights but also because it is a foodie destination where Danish blue cheese is a celebrated and savored part of the culinary culture. St. Clemens’ Green Island Blue is a semi-soft cow’s milk cheese with delicate blue-green veins that weave throughout the white paste to the edible, slightly yellow rind. 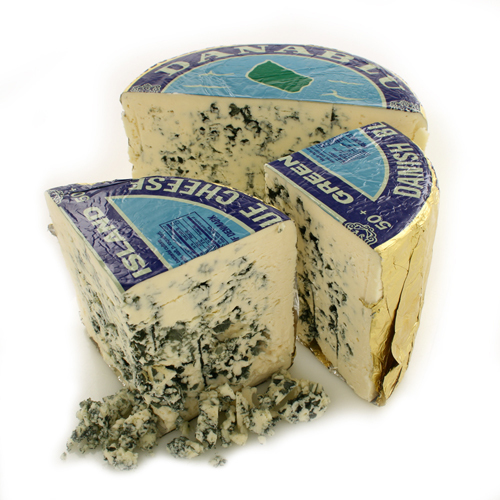 Green Island Blue develops its complex earthy-touched mellowness as it matures for eight to twelve weeks. Its rich, creamy texture and more-mild-than-Roquefort flavor exemplifies why Danish blue cheese has made such an indelible mark in the culinary world. St. Clemens Dairy has been winning prestigious awards since entering the international cheese festival arena and added yet another World Championship Best of Class Gold medal in 2014. St. Clemens is still the only cheese producer to ever win the Wisconsin Championships’ coveted, ultimate title of World Cheese Champion twice—first in 1980 and again in 1998. Application: Just in time for the Super Bowl, use this famed Danish cheese in a classic blue cheese dip with hot wings during the big game. Also great to bring to room temperature and smear on toasted ciabatta bread stuffed with carne asada for a halftime treat! Pairing: A classic with a desert wine like Sauternes or a German Riesling, the sweet of the wine matches the salty qualities in Green Island Blue. A less conventional, but perhaps more accessible choice because of its growing popularity, would be Moscato which really enhances the creaminess of this Danish blue. 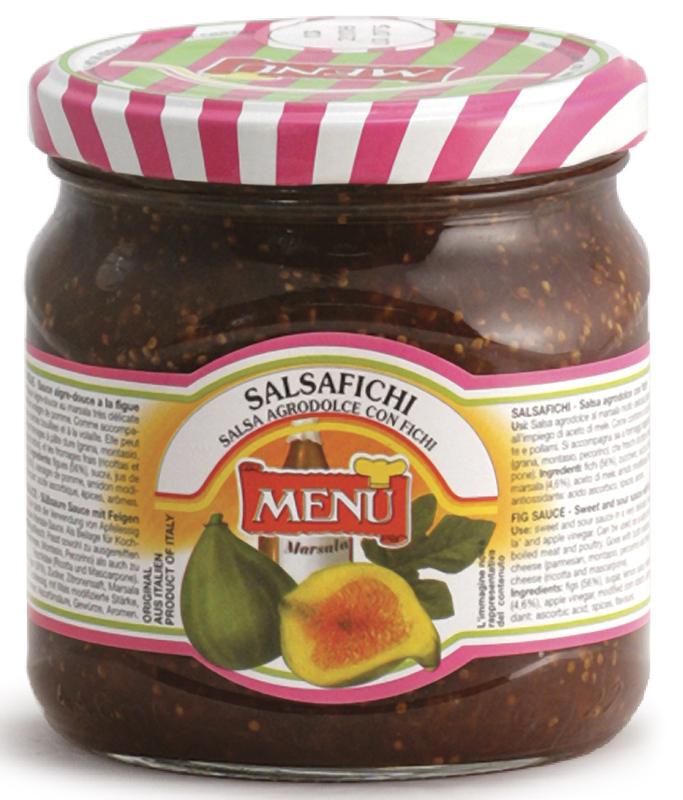 Fig & Marsala Sauce by MENU is prepared with deep, smoky marsala wine and fresh, sweet figs. Also called Salsa Fichi, the balance of sweet and sour flavors will enhance anything it’s added to. MENU simmers their all-natural sauce down to a confit-like consistency with a mellow sweet flavor and a succulent aroma. Spread onto pizza and top with Prosciutto slices or sub for the usual sandwich spread for an updated twist on these classic dishes. Salsa Fichi pairs splendidly with mature cheese like Grana Padano or Asiago and fresh types like Ricotta and Mascarpone, as well as any Italian charcuterie.